Location: The Sword & Board, 1193 Bloor Street West - Rear, Toronto, Ontario M6H1N4 The Emperor of Granbreton wants to increase his holdings, and the old London Transmat Station is just the thing to move armies with..... .......once some peasants make sure that it is safe. 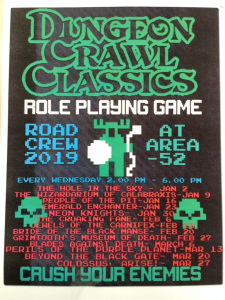 We're playing DCC RPG at The Geekery, starting at 6pm. 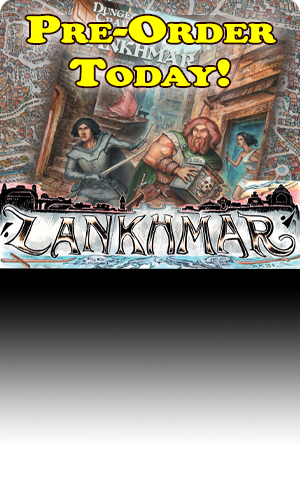 We'll be finishing up the funnel adventure Sailors on the Starless Sea. At Gateway Games and More in Cincinnati. Hosted by myself, and promoted by the store owner, Todd. I ran the first session of 2019 in my ongoing DCC campaign that went through the entire year in 2018.